Only one small record store here and only about ten vinyl lovers were there early The shop didn't have the Zappa and Gabriel, but I found this one and the North Sea Oil 10" EP by Jethro Tull. I just got the RSD 2019 TMR from Discogs at a fair price - 56.90 Euros including shipping. Low shipping cost as Denmark is close. Lowest price on Discogs so far is around 50 euros. This is going to be a continued release from TMR. It's not a limited RSD press. 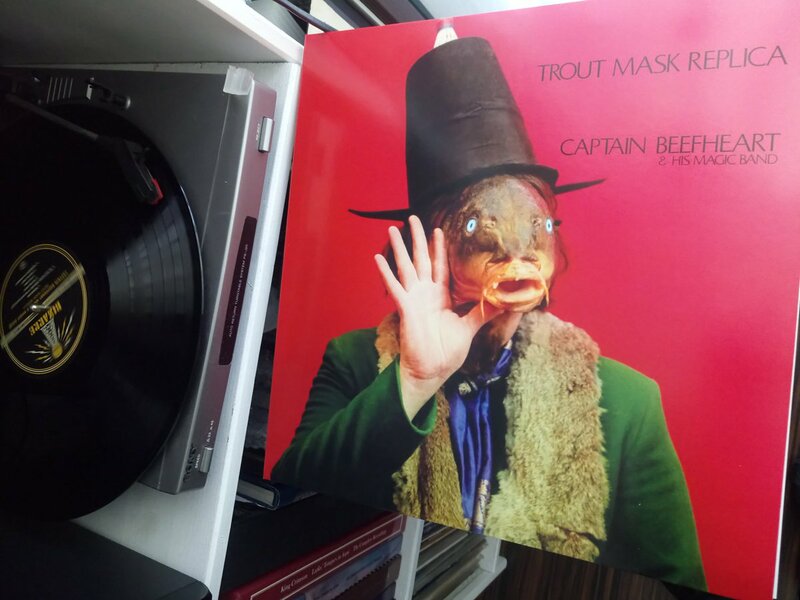 "Many thanks to Ahmet and Zappa Family Trust in collaboration with Third Man Records for actually paying the TMR band a small royalty for last year's re-release of Trout Mask Replica. We just received our checks and also a complimentary album package each. No one was legally bound to pay us anything for that grueling nine months of work we did fifty years ago due to the way the contract was written and only signed by Don. Sadly, it is the FIRST payment ever for an album that put Beefheart on the cover of Rolling Stone Magazine. My instincts tell me that FZ probably talked Don into signing as sole artist because of his own troubles dealing with the Mothers. The differences in Don's and Frank's leadership roles were light years apart. Frank was paying his band a weekly salary at the time, and it was weighing heavily on him at the time ( 1968 and 1969) and I don't think he realized that Don was paying his band nothing at all, and seemed to feel no sense of financial responsibility for the guys who were toiling over his music daily. Frank, who considered Don his friend, and with good intentions, may have influenced Van Vliet into signing as an independent artist, which he did from 1968 forward. The only MB members to be paid royalties were the guys who signed with Buddah back in 1967. Sony, who now owns the masters to "Safe as Milk" and "The Mirror Man Sessions" , paid all the signing members retro-active royalties a few years back, after I was notified by Mike Kappus ( Van Vliet Estate manager) that Royalties were being held for Handley, Snouffer ( whose son inherited them), Moon, and myself. Anyway, Kudos to Ahmet for stepping up to the plate and showing some respect for the band members who worked so tirelessly on the album Trout Mask Replica. Also, special Thanks to Melanie Starks, who handled all the arrangements and did the paperwork."